Lauryn Bertolo: What’s The Date? These are fun. 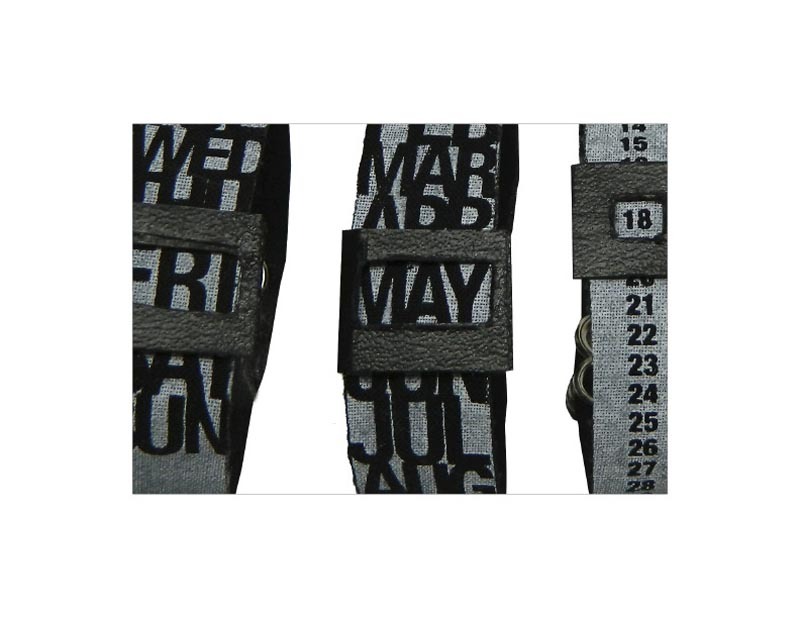 Illinois-based graphic designer Lauryn Bertolo designed a wearable calendar. 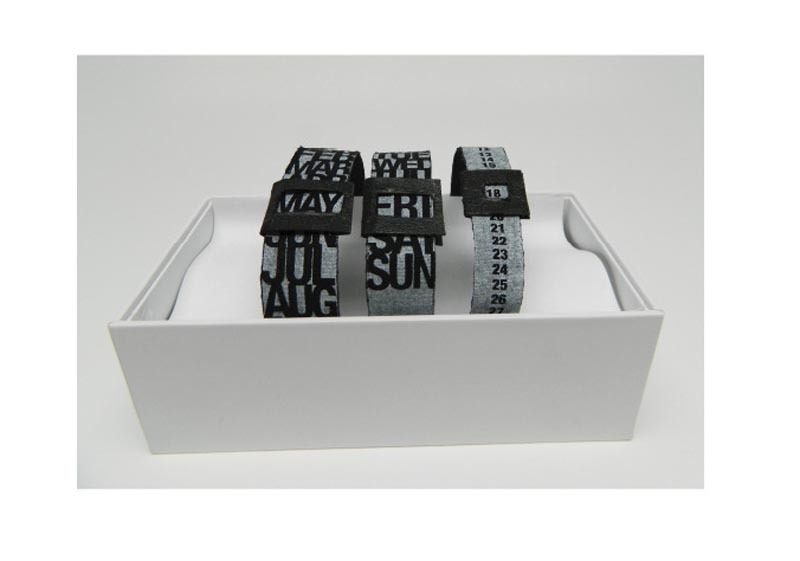 What’s the Date, as the 3-piece bracelet is called, is screen printed on fabric in bold type and adjusts to every day of the year. I have a feeling it’s a prototype, but I bet there’s a market out there. 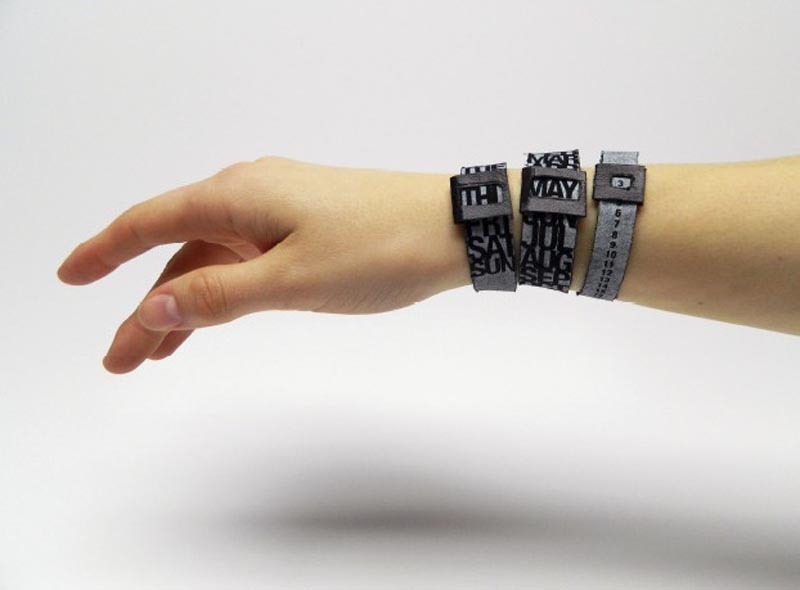 This entry was posted in Fashion, Graphic Design, Pop Culture, Stuff We Like, Typography. Bookmark the permalink.